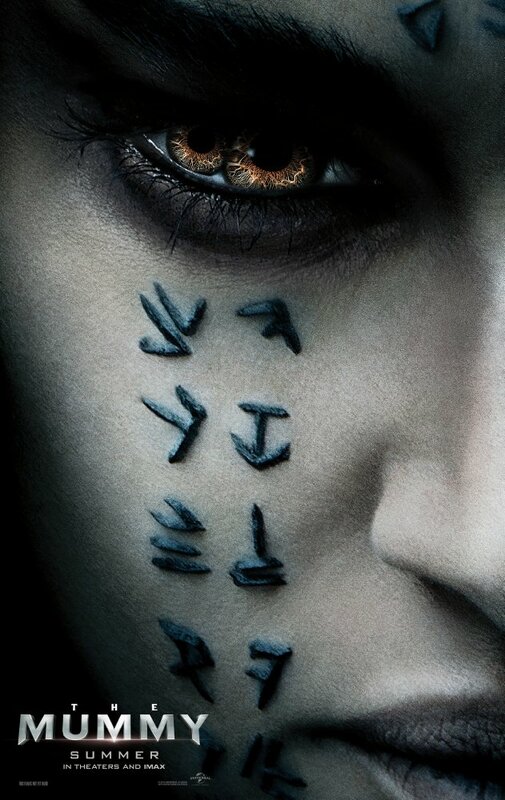 Home / Film / The Mummy: You’re cursed! Back in days of yore, Universal was the studio that did monsters. Theirs were the classic cinematic depictions of Dracula with Bela Lugosi and Frankenstein’s Monster with Boris Karloff. Universal are keen to catch up with the other major studios on their cinematic universe cash-cows, so going forward we will have – as the opening logos proudly declare – the DARK UNIVERSE, a series of films featuring rebooted versions of all their characters, all in one setting. The Mummy is the first film in this venture. Well, that’s actually a point of contention. 2014’s Dracula Untold with Luke Evans as the neck-nibbler had reshoots to produce footage to tie it into the Dark Universe concept. It’s now regarded as the case that The Mummy has been ‘repositioned’ as the first film. This essentially means they did a poor job of promoting the concept of a shared universe in Dracula Untold and it didn’t make enough money to guarantee that they would integrate this version of Dracula in the Dark Universe. What a well-coordinated start. But worry not, you will make no mistake that this is a new shared universe being birthed in The Mummy. Writer and producer Alex Kurtzman, who is responsible for co-writing a great many of the worst blockbuster screenplays of the last two decades, is directing, and he has clearly been given a simple mandate: shoot a 2-hour long advert for our new business investment. The Mummy is downright experimental in its approach, as it deviates wildly from the three-act formula of most blockbusters. Structure, pacing and plot development are all thrown out to make room for more shared universe set-up. So if you were expecting an Egyptian-themed blockbuster like the admirable reboot with Brendan Fraser from 1999 (pity about the sequels…), you will be sorely disappointed. After an intensely exposition-heavy opening, the mummy action is sidelined for intensely exposition-heavy digressions to explain the secret society who try to monitor and contain the gods and monsters that walk the earth. You’ll be introduced to its leader, Dr Henry Jekyll (Russell Crowe) and his laughable evil alter ego with a cockney accent. You’ll have a few frantic and not particularly well-shot action scenes to break this up and a baffling ending that nearly had me in stitches. Tom Cruise is doing his usual thing of not bringing up his involvement in an exploitative cult and showing off how good a shape he is in at 54. Annabelle Wallis has some initial promise of being a bit more involved than a typical passive love interest but by the end is simply reduced to wearing a tight-fitting t-shirt and a thin film of sweat. Sofia Boutella plays the titular antagonist and is in some scenes… She’s ultimately not given much to do because we’ve got a shared universe to set up, didn’t you know? Has anyone at Universal seen Iron Man? Are they not aware that the best way to spin out money is to have a strong platform to build their money fort on? Say what you will about how variable the Marvel films are, but there are some solid entries propping that film series up. Based on The Mummy, this Dark Universe looks like a non-starter. Verdict: An incoherent and ignominious corporate venture pretending to be a film. The Mummy is a surface-level popcorn blockbuster that’s biggest strengths lie in a decent action/adventure retelling of the classic monster’s story and the film’s Dark Universe connections. 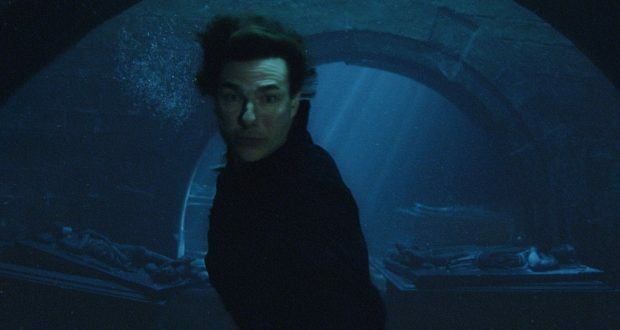 It’s not the best Hollywood has to offer this summer, nor the most compelling reboot of The Mummy, but will be enjoyable for fans of Cruise’s work and those intrigued by Universal’s new shared universe. And, with the ending of The Mummy leaving the door open for future installments, as well as a possible direction for the Dark Universe, perhaps the movie’s greatest success is as the shared universe’s launchpad.